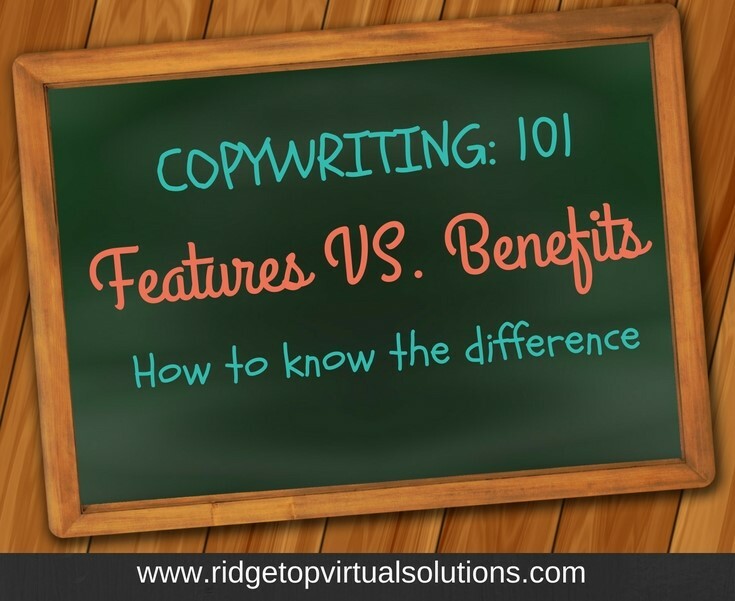 I’ve been around this internet marketing thing for a while now and if there’s one thing that confounds, frustrates and causes new (and even seasoned) copywriters to bang their head against the wall, it’s the not-always-so-obvious difference between features and benefits. But it’s time to talk features and benefits. Oh wait! On second thought – let’s both take a moment to just close our eyes, let our imagination run wild and enjoy the moment. (happy sigh). NOW let’s get back to business girlfriend. And those are really good points, but they’re pretty MEH. They’re totally bland. Now don’t start kicking yourself because you now think you’re writing terrible copy. You’re not. And this is my point. The reason they come off as bland is because they’re fabulous features. They are not benefits. They tell us about the program, but not why we should buy it. Benefits, on the other hand, tell us WHY we should plunk our money down and buy. Benefits are the “so what” of features. I know. I see the blank look on your face. Hang in there. This is where it gets good. Let me break it down and we’ll take a deep dive into the “so what”. Let’s start with the first point. “6-week self-study course.” So what? Why should your audience care? Because she’s busy and needs to work on her own schedule, not yours. Because she’s already studied shorter, less comprehensive courses and needs more in-depth information. Because she prefers to learn on her own and not in a group. “Includes workbooks and live training.” So what? What are the benefits of workbooks and live training? Your student can put what she learns into action with workbooks. She can get her specific questions answered during live training. Features = The WHAT. They are the attributes like length and format. They show you prospective client what is in the program. Benefits = The WHY. Why this slamming, jamming program or product is perfect for her at this particular moment of her life, in her business. Put them together and you have an awesome one-two punch that work together in your sales copy. Here’s an example: “6-week self-study course so you can learn at your own pace, when it’s convenient for you.” You got the what and the why in there. Ok ok – that little snippet was a little dry but you get my drift how you can put them together. In fact, this powerful feature/benefit combo is often the basis for the bullet points you see in sales copy. I know you’ve seen all of those bullet points. They’re not just there for show, you know. They can help separate out the features from the benefits, not to mention the format of them makes them easy to write, too. OK Buttercup! Time to put this new little nugget of wisdom to good use. I’ve got a totally easy-peasy exercise to help you map out your sales copy. Grab a pen and paper and let’s kick it old school! Take a minute and list all the features of your product. How long? What’s the format? What are you including? Then go back through and for each one, ask yourself “Why?” Why should people care? But don’t stop there. Dig deeper to uncover “the why behind the why” and soon you’ll be crafting yummy, truly irresistible sales pages that convert. That’s important! That’s a HUGE bennie of the program. Now not only is your prospective client working at her own pace, but she’s also freeing up time to spend with her family. She’s not locked into a set schedule and that’s a great benefit for a busy entrepreneur or stay at home mom with kids on all different schedules. I know I said the exercise was easy peasy. That might have been a small stretch of the truth. Listing all the features of your product or coaching program was probably pretty easy. 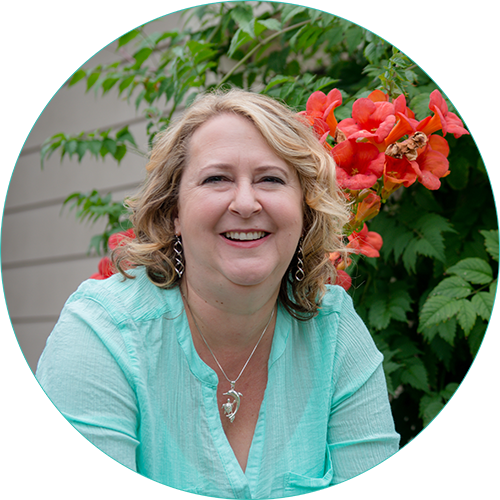 I know it can be a whole lot tougher to dig deep and uncover the true benefits – all those “why’s” and “so what’s” that are going make clicking that Buy Now button completely irresistible. But it’s SOOOO worth it. And I promise now that you get the difference between features and benefits, it’s going to get easier. Pinky swear!! Yes- I love examples like these! Thank you Pam! Awesome!! Makes my day you found them helpful.